Children’s play areas and bedrooms can spring to life with a wide variety of styles and subjects. From medieval castles and dinosaurs to fairytale fantasies, these spaces provide the perfect setting for a youngster’s whimsical world. 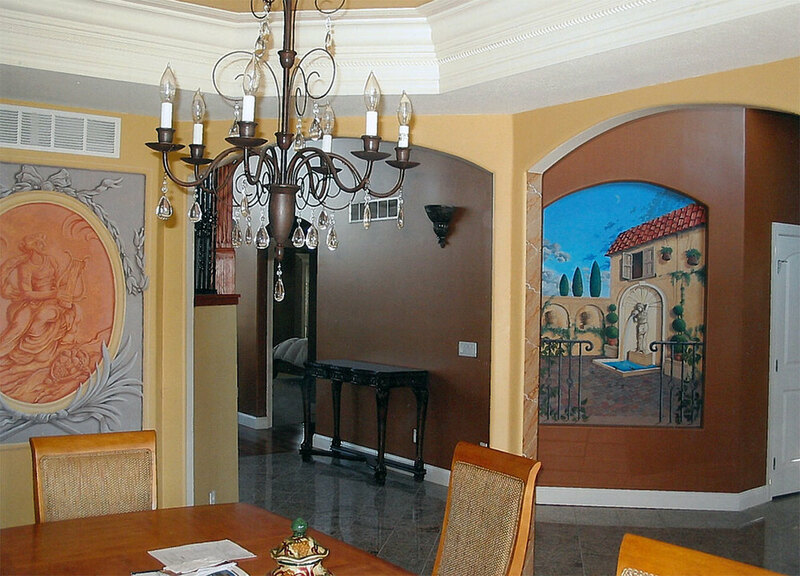 Living room walls and entryways offer the perfect setting for many mural motifs. You can personalize your home with a Tuscan mountain village, tropical waterfall or a selection of painted plants or topiaries. Hard to decorate locations and windowless rooms can be revitalized with painted architectural features like windows or doors. 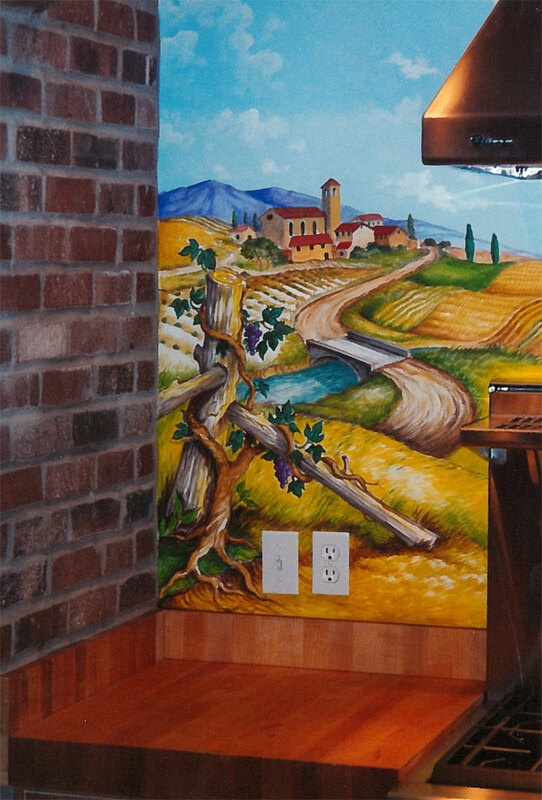 The true-to-life aspects of nature can create an atmosphere of peace and serenity within your home or business.